2016 DDSJ Festival Lineup - Western Region Puerto Rican Council, Inc.
5:30pm - Jose Mangual, Jr. The son of the innovative and pioneering bongo musician, José Mangual Sr., aka "Buyú", José Mangual Jr. was born and raised in East Harlem, the Spanish Quarter of New York City known as "El Barrio". By the age of fifteen, José Jr. was already playing in local groups. In 1968, Mangual Jr. was invited to play bongos and sing background vocals for a fledgling orchestra led by a young man named Willie Colón. The lead vocalist for this group was also a young singer named Hector Lavoe. Along with his perennial rhythm section "compadre", legendary percussionist Milton Cardona, Mangual would become a part of history, as they made some of the most important recordings in the annals of salsa music. Mangual Jr. showed his skill as a composer, author, and lead vocalist with Colón's orchestra. With Kent Gomez in 1973, Mangual co-authored the song "San Miguel" for Tony Pabón y la Protesta. This song featured him as a lead vocalist. After Willie Colón and Hector Lavoe parted ways to pursue different ventures, it was José Mangual Jr. who took over the musical direction of Lavoe's band. Shortly after this in 1977, Mangual formed his own record label, True Ventures Inc., and released A Tribute to Chano Pozo. This album features the classic recordings, "Campanero" and "Cuero 'Na Ma". It also established Mangual as a lead vocalist to be reckoned with, and a serious record producer. The 1980's saw José Mangual Jr.'s fame grow even more, as he became a premier artist for Velvet Records, and further solidified his fan base in South America, Europe and the Orient. His skills as a percussionist, vocalist, composer, and musical director were sought out by many including Juan Luis Guerra, Rubén Blades, Herb Alpert, Dizzy Gillespie, David Byrne, Celia Cruz, Ramon Orlando, Mario Bauza, Mongo Santamaria, The Fania All-Stars, Junior Gonzalez, Ismael Miranda, Louie Ramirez and many others. Perhaps the most fascinating aspect of Mangual's career is his ability to evolve and refine the sounds of his music. The 1990's saw him forming and leading his band Sarabanda, while still pursuing the projects he always wanted to do. In 1995, Mangual released his long-awaited Tribute to Chano Pozo Volume II. This album ranks among his finest, and gives listeners a glimpse into the mind of a master musician who grew up during the golden age of modern Latin music. In 1998, Mangual produced and musically directed Caiman Records new salsa and Latin jazz release, "Son Boricua", by his band of the same name. This session features his original composition, "El Jibarito", which pays homage to the island of Puerto Rico, and his Boricua heritage. The album and group was the recipient of the New York Latin Critics' ACE Award as Best New Latin Release for 1998-1999. Mangual's recent new release with "Son Boricua", entitled Homenaje a Cortijo y Rivera is a moving, swinging homage to the music of Rafael Cortijo and "El Sonero Mayor" Ismael Rivera. What makes this work so noteworthy is that it marks an even deeper trip, not only into Latin jazz, but into the panorama of what the sounds of a Latin New York are: the sounds of the streets of "El Barrio". Here, Mangual displays all of the attributes of his professional career, from being the musical director and a lead vocalist, along with the "Smooth One", Jimmy Sabater, to being a composer with his original composition, "Boricua Blues". With this release, Mangual, Sabater, and "Son Boricua" captured their second ACE Award in 2002. Louie Romero rose to prominence for his incredible percussion skills as the regular timbales player for legendary salsa musician “El Cantante” Hector Lavoe. Louie is also well known for his work with heavy hitters such as Willie Colon, Ruben Blades, Celia Cruz and others in his him town of New York. Today, Louie continues to share his musical talents under the banner of Mazacote, playing a dynamic blend of classic salsa dance favorites as well as his original compositions (from the recently released album “Timbalero”). ​The band’s sound can best be described as a soulful dancer-friendly blend of Salsa, Cha-Cha, Timba, Cuban Guajira and Bomba. 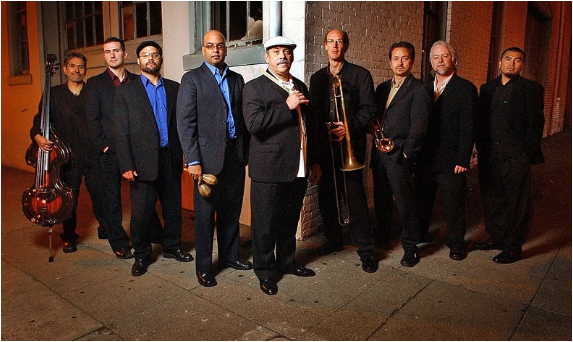 Combining East-coast influences with Bay Area culture, Mazacote has quickly risen to prominence as one of San Francisco’s most sought-after salsa bands. 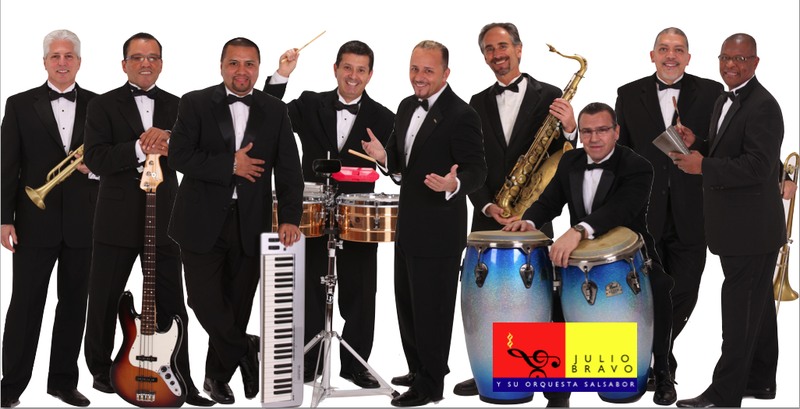 ​Celebrating their 22nd anniversary, Julio Bravo's group of dynamic musicians have created a flavor all their own. 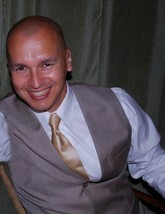 Beyond the talent of each individual member, Julio Bravo y su Orquesta Salsabor, is a unique blend of vocal styles unlike other salsa bands in San Francisco. Peruvian born singer, composer, and bandleader, Julio Bravo creates an explosion of sound and energy that keeps their diverse audience coming back for more. Julio Bravo y su Orquesta Salsabor brings together the most talented and ambitious musicians, and creates a fantastic orchestra, that has demonstrated to be energetic, versatile, fun to watch, fun to dance to, and works well in gala and outdoor events, universities, weddings, night clubs, casinos, conventions, and more, showcasing an eclectic mix of the best danceable tunes, covers and originals, they play songs ranging from their CDs “10 Anos de Salsa” & “Bravissimo” to current artists such as El Gran Combo, Gilberto Santa Rosa, Puerto Rican Power and many more. The taste for Latin music has hit the Bay Area with a vengeance, and Julio Bravo y su Orquesta Salsabor is leading the trend. Julio Bravo just release his new CD project called “Bravissimo” filled with original compositions and arrangements. “Bravissimo” is now available on ITunes and Pandora Radio. La Mixta Criolla is a dynamic Bay Area sextet with deep roots in the criollo (creole) musical culture of Puerto Rico and the Caribbean. The band’s diverse repertoire of originals and classic tunes features a variety of swinging Afro-Latin grooves, from plena, bomba, guaracha jíbara, seis and aguinaldo, to salsa, merengue, rumba, son, and cumbia. La Mixta was founded by percussionist, singer, songwriter Héctor Lugo and features Camilo Landau on the Puerto Rican cuatro guitar and vocals, Ayla Dávila on bass, Sandra García Rivera on güícharo and vocals, Román Carrillo and Javier Navarrette on bongó, panderos, barriles and congas. Firmly rooted in Puerto Rico's rich musical culture and inspired by the soulfulness of Caribbean music, La Mixta Criolla delivers performances of singular strength and passion to the delight of dancers and music lovers everywhere. Check out La Mixta’s CD AfroTaíno on Round Whirled Records’ catalog (La Mixta Criolla/AfroTaino) and/or the band’s Facebook page to listen to some of their music. ​Santos Lopez is an avid “Salsero” (Salsa dancer) who has maintained a passion for Salsa dancing since he was first introduced to Salsa in the early 1990s. Santos began DJ’ing at the age of 15 and has maintained the art ever since. Santos has DJ’d at several Salsa venues around the Bay Area and at various outdoor events, including the WRPRC Dia De San Juan Festival and Redwood City Salsa Festival. He has also been the main Emcee for the San Jose Jazz Summer Festival Salsa stage for the past 6 years and has worked closely with several local Bay Area Salsa bands. 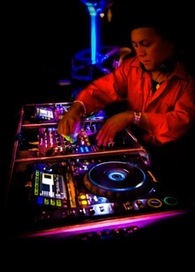 Helio Quiros has been a Bay Area Salsa DJ and sound engineer since the early 1990s. Born in Panama, he was exposed to Salsa at an early age and developed a passion for the music and culture. His musical style blends his Panamanian roots, exposure to African rhythms (Merengue, Bachata and Reggae), contemporary music (Reggaeton and Top 40), and Old School. Throughout his career, Helio has worked with with many local and international artists and bands including: Avance, Julio Bravo, Orquesta Borinquen, Johnny Polanco, E-40, Pitbull, La Sonora Carruseles, Melcochita,Michael Stuart, Don Perignon, and others. Helio has also DJ’d at many local clubs throughout the Bay Area, including Roccapulco, Glas Kat, and Cafe Cocomo, and is currently the resident DJ for El Vacilon Productions. 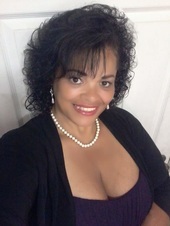 Angela Tirado is a local a Capella vocalists from East Side San Jose. She enjoys sharing her God-given talent with her community. She has been named " The Voice of San Jose " by San Jose City Council and the Mayor.